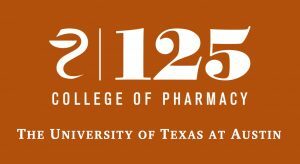 The University of Texas at Austin College of Pharmacy is proud to host the Hospital Practice Seminar, June 14-15 2019, in Austin, Texas. The Seminar is developed with input from a planning committee with expertise in clinical and hospital practices. The content of this conference is based on practice gaps that are identified by surveying pharmacists, physicians and technicians who work in hospital settings, through discussions with the planning committee, and by analyzing current practice trends. Participants will receive evidence-based clinical information that is relevant to hospital-based practices (see Agenda). Speakers who have been recommended by the planning committee as outstanding presenters and experts in their practice will deliver the featured presentations. Each session in the conference is formatted to include: a didactic evidence-based presentation, opportunities for active learning through the use of case studies, and Q&A discussion that allows audience members to ask specific questions for individualized learning. The agenda also features a couple of panel discussions, which allow practitioners with various practice backgrounds an opportunity to share their individual experiences and varying viewpoints, in a more casual atmosphere. The panel discussions typically allow more time for participants to ask questions and to interact with a wide variety of speakers. The information delivered at this conference is intended to be in-depth, yet practical enough that participants will immediately put it to use upon return to their practice. The content may be used to implement individualized, comprehensive and evidence-based treatment plans for patients. Pharmacists who practice in hospital and clinical health care settings, who wish to learn relevant and practical information to improve patient outcomes. The seminar will provide pharmacists with tools and knowledge that can be immediately applied when they return to their individual practices, so they may provide optimal care to their patients. The ultimate goal is to improve practice behaviors and patient outcomes by providing a very practical educational experience. The speakers who are invited to participate are highly recommended educators, including UT College of Pharmacy professors, professors from other well-respected colleges of pharmacy, practitioners considered to be experts in their field, and renowned speakers.